Great deals on sweet rides from Porsche to Ferrari and Rolls Royce to Aston Martin. 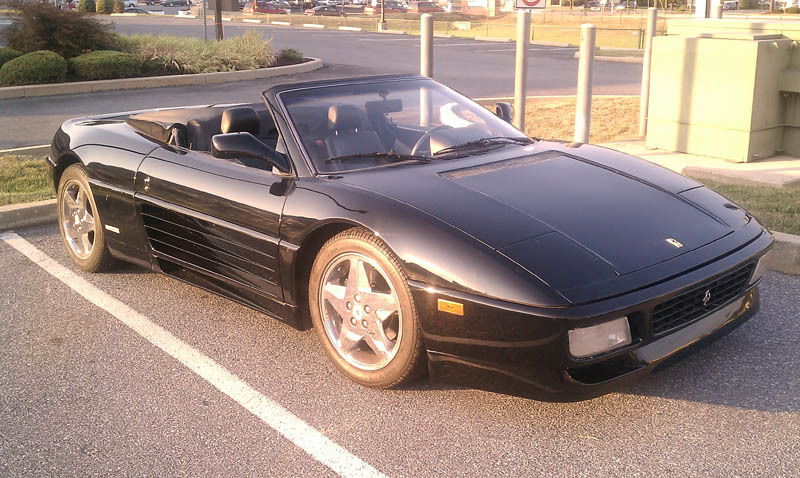 This black on black, 2004 Ferrari 348 Spider is sure not to disappoint you. It’s an open top Spider and a gorgeous ride. Looks to be well maintained with recent engine out service completed. Clean title and 65k miles on the car. This one is a car to drive and enjoy. This is one heck of a Ferrari bargain. 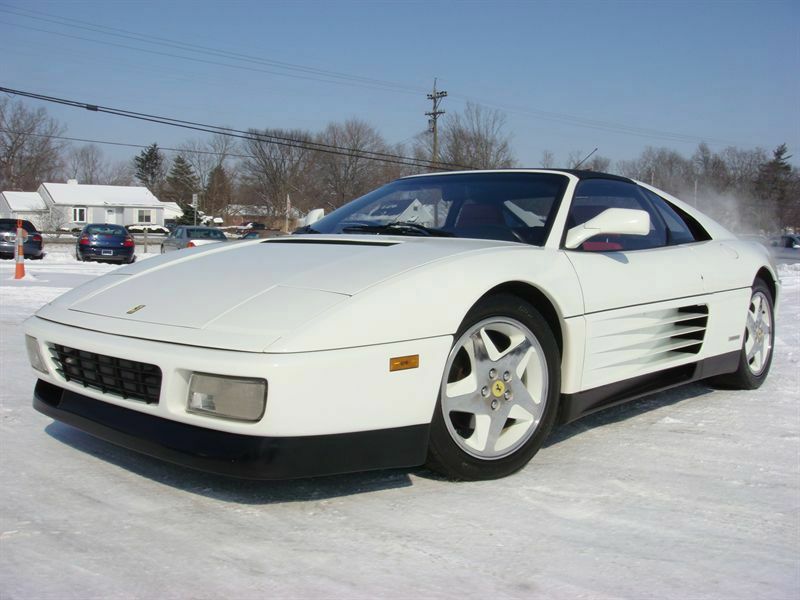 A 1989 Ferrari 348 ts currently at $17,500. Classic Ferrari Corsa Red with Tan interior. Just over 34k miles on it with a clear title. It’s a fixer upper, but at that price, you could afford a $10k to $12k maintenance bill and STILL have a bargain on your hands. Sure there are always risks with a non-running Ferrari, but the potential reward is there. Especially for someone who is willing to dig in with some elbow grease. I love the Ferrari 348. It’s like a more manageable version of the Ferrari Testarossa with the same great looks of the iconic 80’s supercar. I miss my 348 every sunny day we have in the Northwest. Fortunately there are still great deals to be had on these great cars. This is a perfect example of one. A 1990 Ferrari 348 ts in the classic red with tan interior. Just over 45k miles on the odo and appears to be up to date on service. Beautiful Ferrari for sale by owner. Starts easy, runs like new. NO FLUID LEAKS. Expensive engine-out service has been performed and documented. No current major service required. Ready to drive anywhere. Climate control, 19″ Challenge rims and new tires, so it rides low, and corners flat. All leather interior, 4-point belts, good paint but not concours quality. Includes factory leather toolbox with tools. All maintenance documents provided, always pampered and garaged, just passed California emissions. Buy It Now on the auction is $31,000. 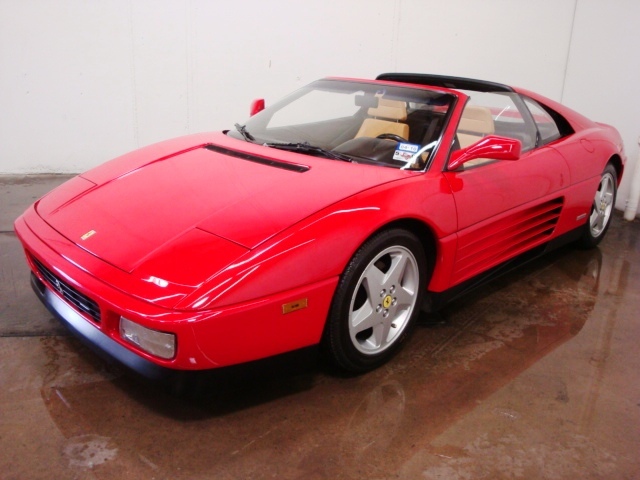 One heck of a great deal for a Ferrari 348 that’s up to date with documented service points. I still think the Ferrari 348 is one of the few bargain Ferraris left out there. It embodies everything that makes a Ferrari a Ferrari, yet has not been picked up by the enthusiasts and priced out of the ballpark for many who dream of owning a Ferrari. Today is a 1991 Ferrari 348 ts. Just 47k miles on her. Red with tan interior…absolutely THE color combo for a Ferrari of this era in my opinion. Even includes original Ferrari luggage and floor mats. THE CONDITION IS ABSOLUTELY MINT!!! The paint and the body are shiny and in great condition. Interior is in Great shape, with almost no wear. Exterior is in good condition. There is on small blemish on the edge of drivers door please refer to the picture. Rims and tires are in great condtion. Everything works AC, CD Player, the vehicle drives and shifts perfect. All suspension is operating as it should. Also there is a small oil leak trips about quarter size in a week. All pictures are recent. The previous owner took excellent care of this Ferrari, and it shows! Tires (front 70%) (back 70%), non-smoker, Certified Real car from a Licensed and bonded dealer 100% clear title. Get this…the auction ended at $30,995. A HECK of a deal! There are lots of Ferrari bargains out there if you’re willing to look. I love the Ferrari 348 ts. I owned one for a year and a half. Was a heck of a great car. Today’s bargain is a killer deal. I know these cars and knew immediately when I found it, that it was the only one I’ve looked at without major bolster wear, seat redyes, sticky plastic, oil leaks, slow windows, paintwork etc etc, that this one was special and has none of these issues!. The car is a very, very nice driver, very, very nice cosmetics with absolutely zero known mechanical defects of any kind, and everything works. This is a heck of a bargain at under $30k. Current auction price is $22,100. Buy It Now price is $29,500. 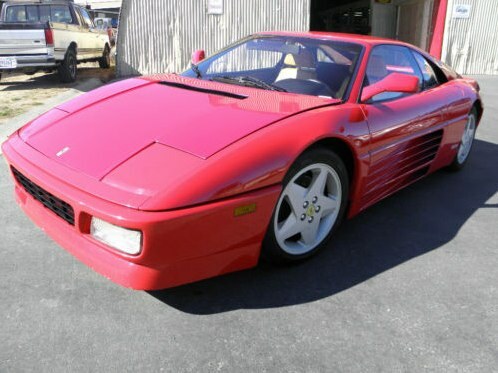 Check out the car at the eBay auction page here:Ferrari 348 Bargain . I love the Ferrari 348. 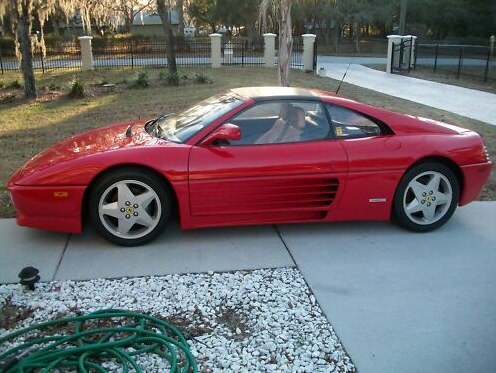 A red 1990 Ferrari 348ts (featured in the early days on BargainExotics.com) was my first Ferrari and I would buy another one in a heartbeat. It was a great car and a blast to drive. I love the styling and the resemblance to the Ferrari Testarossa. Absolutely pristine, rare color combination, super low mileage, original paint, accident free, show quality 348 TS finished in Bianco (White) over lipstick red leather interior with black upper hides and red carpets. This is a locally owned car that has always been serviced here by it’s previous owner who has had the car for the past 13 years. He purchased it in 1997 from the local Porsche dealer where it was traded on a new Porsche and just sold it to us as he was retiring and moving to Florida. The paint is all original except for the usual front bumper painted for stone chips. The paint is in perfect condition with no dings, dents, or scratches to be found anywhere. It has the usual stress marks where the c pillars meet the quarters, but otherwise the paint is absolutely flawless. The interior of this car is absolutely incredible. It has none of the wear usually found on a Ferrari of this vintage. There is absolutely no dash shrinkage, no faded carpets, no worn out seats, shrunken door panels, and no gummy or scratched center dash plastics. The car had the original wheels when we purchased it but upgraded them with a set of all new Modular style 18″ wheels with all new Z-Rated max performance tires. The original wheels are included with the car. In addition, this car has a stainless steel tubi exhaust system and sounds as great as it looks. This car runs and drives absolutely like new with no problems, issues, or vibrations whatsoever. This car is absolutely incredible inside, outside, and the way it sounds and drives. It has been regularly serviced with yearly maintenances only. I have no record of any major service, although one may have been done without my knowledge. I have just had the car fully serviced in our ASE Master Ferrari service department including all fluid flushed and a complete check over. We have also completed a full compression and leakdown test for your piece of mind with no problems found whatsoever. It comes complete with all the books in the original leather binder. If you are looking for the cleanest, best color combination, low mileage 348 around, don’t miss out on this pristine example. Compare this to any others for sale and there is no comparison, this car stands shoulders above the rest. This is up for $36,995. I’d make an offer of $32k or $33k. When the exotic car market comes back around, this should easily move up to the $40k range. 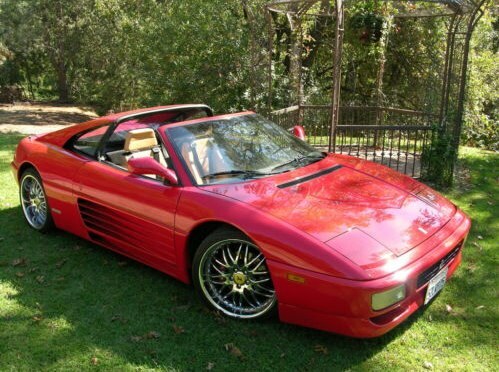 Here’s a link to the eBay auction page: 1990 Ferrari 348 TS .